Another sunny and increasingly golf-friendly destination situated in the Caribbean is the Bahamas. The motley culture combined with the outstanding nature of the Bahamas could offer plenty of unforgettable experiences to people planning a golf-break or even a golf-escape at an exotic and sunny place. The country’s booming tourism offers unique experiences such as the varieties of local cuisine, the traditional regattas, organized with simple work boats, visits of the local artisan workshops where people make baskets and other traditional handworks and much more. With its warm and sunny people the Bahamas has definitely a lot to offer to every breed of tourist, including the avid golfer. 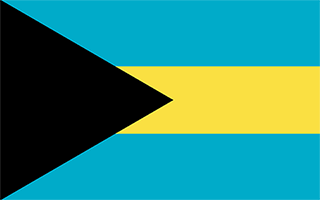 The Commonwealth of the Bahamas, or just the Bahamas, is a former British colony that gained its independence in 1973. It consists of about 700 islands, cays and islets situated in the Atlantic Ocean. It is situated southeast of the US state Florida and north of Cuba and the Dominican Republic and Haiti. Bahimi is the island that is closest to the United States. Other major and more densely populated Bahamian islands are Grand Bahama, Eleuthera, Cat Island, Long Island, San Salvador Island, Acklins, Crooked Island, Exuma and Mayaguana. The capital city of the Bahamas is called Nassau and is situated on the island of New Providence. There are two airports at the Bahamas and the internal movement between the islands and islets takes place either with ferries or with boats. The overall topography of the islands is flat and low in latitude. As far as the climate is concerned, there is no winter and the temperature is stable year round, with just a few degrees Celsius difference between the warmest and the coolest months. The islands are mainly dry and boast more than 3000 hours of sunlight annually. In general there is hardly any rainfall and if it happens, this is mainly in the summer. Suited for golf breaks or group golf outings, the Bahamas also hosts many golf tournaments throughout the year. Since the country, however, is composed of a big number of small islands, not all of them are big enough for supporting a golf-course. The four islands that could host a golf course are the Grand Bahama Island, New Providence Island (aka as Nassau), Great Exuma and Treasure Cay in the Abacos. Take for instance the Grand Bahama Island, also called Freeport. In addition to its two golf courses which are definitely worth a strike or two – the Reef Course and the Lucavan Course, Freeport offers the opportunity for adventure safaris and seeing beautiful dolphins. In terms of accommodation, Grand Bahama offers both first class luxurious hotel and smaller, cheaper accommodation with fewer amenities. Nassau, the capital of the Bahamas, situated on the New Providence Island, used to be the haven of pirates and is nowadays, among other things, an important financial center. The city, however, takes pride in its adventurous past and is beckoning with its many touristic attractions woven around its pirate past. Nowadays Nassau offers to golfers three very reputable courses, namely Radisson Cable Beach Resort Golf Club, One & Only Ocean Club Golf Resort Paradise Island and Blue Shark Golf Club. The Exumas, which encompass 2 bigger islands and dozens of small ones, are extremely exotic and beautiful oceanic spots for golfers who want to experience paradisiac golf break. The two most reputable courses on the Exumas are The Four Seasons Golf Club Great Exuma at Emerald Bay and Oceana Heights Golf Club at Emerald Bay. Last, but not least, in immediate proximity to Nassau are the small islet group of Abacos, a place where along with golfing you can enjoy all types of water-related activities. The two prominent golf venues there are The Abaco Club on Winding Bay and Treasure Cay Hotel Resort & Marina. Both places offer accommodation. Given the overall importance of tourism in the Bahamas, golf tourism is a well developed niche that experiences rapid improvement. There are many golf resorts, as well as many hotels that offer packaged holidays with included rounds and transport to a golf course nearby. One of the benefits of taking a golf-break at the Bahamas is that its established touristic traditions offer plenty of opportunities for filling every golf-free minute with either exciting or relaxing activities. Or a personal combination of both. Taking a golf break in this aquamarine paradise is definitely worth your time.